They say that history is the key to understanding pretty much anything, including human beings, that to know where they were is to know why they are, and this would certainly seem to apply to Donald ‘Babe’ Winkelman, the rugged, lumberjack-lookin’ man made from hardscrabble farm roots that somehow found him becoming one of the best-known television sportsmen ever. To know the story is to realize that ‘somehow’ and ‘found him’ didn’t play a large part in Winkelman’s rise to fame. He braced his back and pretty much made it happen against all forces that could have prevented it from happening. An earthy childhood sharpened his skills as a top-line predator. Native intelligence made him a quick study of all things he needed to know. 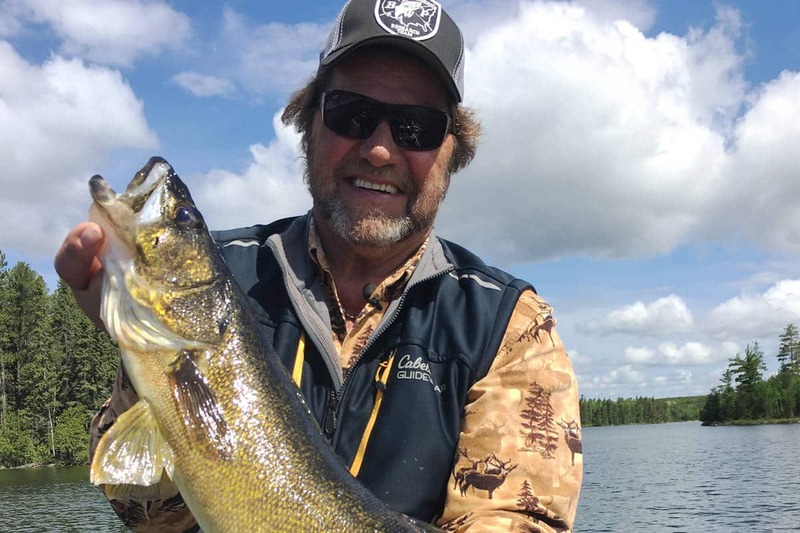 And an entrepreneurial seed planted by his father served him well when it came time to build a business focused on helping anglers and hunters find their own success in the field. MidWest Outdoors: You grew up on a small farm near Duelm, Minnesota, just east of St. Cloud. In addition to chores around the place, what are some of your earliest memories of getting interested in the outdoors as a place to fish and hunt? Babe Winkelman: I’m 66 now, and I was six when we moved to that farm, and I can remember what happened like it was last week. I was standing on a bridge above the little creek that ran through our property, and looked down into the water and could see some striped fish swimming. This was the second or third day we were there. I freaked out and ran and got my dad and was telling him about the striped fish. He rigged me up a fishing pole and a hook and bobber and some worms and I caught a bunch of striped suckers. And it was just the coolest thing in the world. From then on, I was so hooked on fishing I can’t tell you. Every free moment I had, I was on that creek. MWO: So it all started on that little creek. Winkelman: Yep, Stoney Brook. It probably ran a mile or a mile-and-a-half through our land. That’s where I first started to realize that fish move around a lot; you could catch ‘em at a certain kind of spot at a certain time of year, but at other times of the year, you had to do other things. It was my first lesson that things don’t just happen in nature, but that they happen for exact reasons all the time, and we have to learn how to hunt ‘em and put the pieces of the puzzle together to be successful. I was seven when Dad took us to a lake south of where we lived, called Indian Lake, and we fished sunfish. I had never heard of a sunfish before. I saw bluegill spawning beds for the first time, with all these fish shooting around ‘em, and it was just insane. You know what a gunny sack is? Winkelman: Well, we filled an entire gunny sack with bluegills. We dug worms out of the garden, my brother Dennis and I, and we had two coffee cans full of worms and we used ‘em all. MWO: And then you got to spend time cleaning sunfish when you got back home. Winkelman: Oh, we found out that the three kids had that pleasure. You didn’t fillet ‘em then; you scaled every one. You cut the belly open, took the entrails out, cut the head off, and then you cut the fillet in half, with the skin on it, and you cooked it that way, and you ate every crumb of meat.We grew everything we needed on the farm. We made our own butter, our own cheese, cottage cheese, our own ice cream. All the vegetables and stuff. We had our own five-acre garden. MWO: So you grew up eating all organic and free-range foods, exactly what everybody wants now. Winkelman: Yes, and we grew up understanding the whole process. That’s where people need to begin, with the outdoors, by understanding how God created the earth, and this massive ecosystem that it is. The only way life can be sustained is by something else dying. Whether it’s a plant or an animal, it is the death of one of them that feeds the others. So, it’s not like hunting is something that we created; it was created and built into the system. There are omnivores and carnivores and vegetarians in the plant world as well as the animal world. That’s the design of everything that there is. So when were kids on the farm, we were taught to work with the earth, and produce food, and what worked and what didn’t work. It was a lot of work, but that’s what it was. That was our life. MWO: And you took time out to go fishing and hunting. 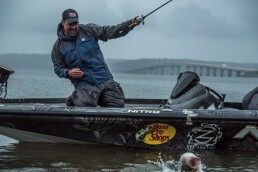 Winkelman: I’ll never forget that bluegill trip. It was the most incredible thing. We were out of bait, Dad said, “we’re going to have to go in, I don’t have any worms left,” and I had a little gold hook on. There was this perch, and it was close, and I was jiggling that little hook and the perch took a pass at it, and I went like that [demonstrates setting the hook] and I caught him in the eyeball and ripped his eyeball out. I brought it up and how his eyeball was on the hook, and said, “Dad, look at this,” and I threw it out and ‘poom’ a bluegill had it just like that. We found out that perch eyes work, too! But we had plenty of fish to clean, I’m telling you. We scaled fish for hours. We learned to clean, and butcher, and do whatever you had to do with anything. Everybody these days talks about life on a farm, that it’s gross and yuck and every other thing. I’ve had my arm completely up to my armpit inside of a cow, trying to turn a calf’s head around so it could be born. And if we could do that, Dad would give us that calf because it would save the cow. That only counted on one; all the rest of the time, we had to do it for the sake of saving the cow. If it was a heifer, out of the first three calves, he would get his pick to take one back, to make it even. But that was a way for us to get a start toward understanding entrepreneurship, if you will. We did the same thing with hogs; my senior year, I sold $3,000 worth of hogs. You did whatever you had to. If we wanted to shoot a cow, we brought it into the cow yard, a fenced enclosure, and just took a .22 and shot it between the eyes and then we’d butcher it. Mom generally butchered the chickens, but we’d butcher all the cows and hogs, and we’d scrub the hair off of ‘em so it was down to skin. You didn’t want to lose the side pork, or bacon, or any scrap of it. Dad and Mom would even take the meat off the head of the hog and make a thing called Panhas. We have the recipe but I’ve never done it, because it takes like two days, two long days to make it. MWO: Is that like head cheese? Winkelman: No, it’s completely different; there’s nothing I’ve ever eaten like it. When you get it all done, you freeze it, then you take it out of the freezer, slice it, and fry it in a pan until it’s golden brown and put syrup on it. Winkelman: Loved it. Everybody loved it. MWO: You’ve talked about learning creative business ideas from watching your dad in action. Tell us about that. Winkelman: My dad went through the Great Depression with his father, where it got to the point that it would cost you 5 to 6 dollars to ship a hog down to South St. Paul and you’d get 4 or 5 dollars for the hog. So Dad and his father––his other brothers we off in the war, and he was the only one left on the farm with his dad––would butcher, and every couple days they would take all the packaged meat, by a team of horses, into St. Cloud, 12 miles away, and sell it. And when they didn’t have hogs they would cut wood and take two cords of wood in on the wagon and sell that. Well, after six months or so of doing that with pigs, a bunch of the other farmers caught on, and pretty soon there were a whole bunch of farmers coming in to St. Cloud selling their hogs. It was the same for everybody. So Dad and his father started making specialty meats: summer sausage, Italian sausage, Polish sausage, and an unsmoked country-style sausage that we still make today. One of the traditions from back in those days that I carried on is all the kids and grandkids get together once a year and we make country-style sausage. Last year’s batch was 650 pounds of sausage. And it’s everybody’s favorite. MWO: Your dad was ahead of his time, making and distributing his own meats, rather than simply selling livestock at market. Winkelman: Well, I don’t know if it was being ahead of his time as much as they were trying to stay alive. Dad started playing music when he was 15. He played an accordion, and if they had a barn-raising or house-raising or some other event, Dad would walk there if it was less than eight miles, carrying his instruments, and then he would play for a barn dance or whatever, and when they finished, they would pass the hat. Some nights he would get 20 or 30 cents, and if it was a really good night, he would get 50 or 60 cents. If it was more than eight miles, his brother Pete would take him in the milk truck and wait for him, but then Pete got paid half of whatever they got in the hat. It was a chance to make something. There was no money and there was no opportunity. MWO: You grew up on a farm, but didn’t end up being a farmer. As a little kid, after you found a love for fishing, did you ever dream of making a living in fishing? Winkelman: Oh, no. Never occurred to me. MWO: So walk us through the years. When did that idea first strike you? 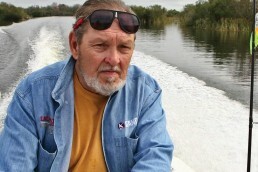 Winkelman: When I was seven years old, we went on the bluegill trip. When I was eight, I killed my first pheasant. We had a lot of pheasants on the farm, and Hungarian partridge, and I found out I liked hunting just as much as fishing, but there were only certain times of year you could do it. I could fish all the time. We had an old farm dog, his name was Buck. He was two-thirds collie and one-third lab, and never trained at all, but he was an amazing dog. If he was trailing a rooster, his tail would go in a circle; if he was trailing a hen, his tail would go side to side. You always knew. I spent a lot of time hunting pheasants and huns with Buck, just him and I.
I loved doing all of it, but there were no such thoughts, of fishing or hunting for a living. I mean, everything was different; the government paid you a bounty, not only for pocket gophers but for skunks, raccoons, coyotes, a bounty to kill bears, bobcats, timberwolves. There was no such thing as a red-tailed hawk or goshawk; they were all chicken hawks and you killed every single one that ever came around your farm, because over 80 percent of the people lived in the country and grew and raised their own food and it was sacred to them. We weren’t the only ones that were poor. You killed all the owls, and any other kind of raptors that came around. Now we’re sitting there after putting ourselves on pedestals saying that we are the watchdogs of the earth, which, to me, is the stupidest thing Man has ever uttered, because the earth did perfectly fine for millions of years before we got here. And it’ll do just fine for millions of years after we’re gone. April 24, 1949: Born Donald Winkelman, near Duelm, Minnesota. At a young age, his father, Don, gave him the nickname ‘Babe,’ after Babe Ruth. 1961: Babe’s father leased a lot on Hay Lake near Longville, Minnesota, a place with a small cabin where Babe would work on his fishing skills at every opportunity. 1969: Along with his father and brother, Dennis, formed Winkelman Building Corporation, a successful construction business. 1970: Fished his first competition, the Heddon Prowler Tournament, on Lake Minnetonka in the western suburbs of Minneapolis. 1970: Turned down an offer from Johnny Winter to be lead guitarist on a world tour, choosing to stay and continue building the family business. 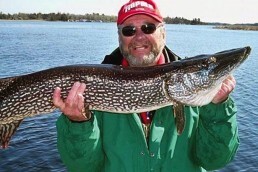 1973: Co-founded the Minnesota Bass Federation, serving as President. 1975: Sold his shares in Winkelman Building Corporation to pursue the dream of making it in the outdoors industry. 1978: S.C. Johnson hires Babe to star in a Deep Woods Off commercial, catapulting him into the public eye. 1980: Started in television, with Good Fishing a show that continues to this day. 1985: Co-founded the Masters Walleye Circuit (MWC), emceeing early tournaments. 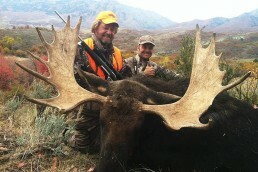 1988: Started “Outdoor Secrets,” an all-hunting television show. 1992: Inducted into Sports Legends Hall of Fame by the Touchdown Club of Columbus, Ohio. He is the only outdoor figure in this Hall. 1993: Appeared on Donnie & Marie Osmond show. 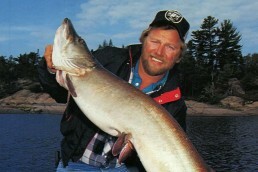 2001: Inducted into Minnesota Fishing Hall of Fame. 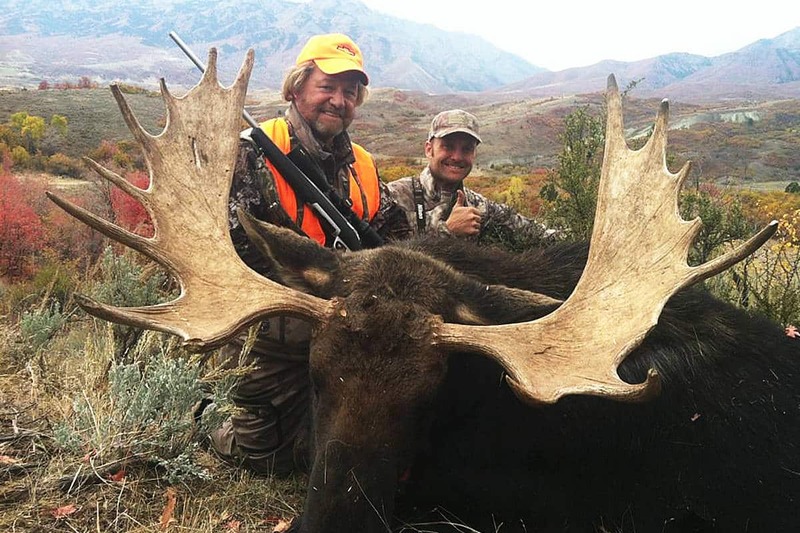 2015: Inducted into Legends of the Outdoors Hall of Fame. Note: fans of Babe Winkelman have a new, interactive way of following his exploits and engaging with him. In the iOS and Android stores, search for the Babe Winkelman app. Free and paid versions are available.